Limited Tickets Only. Available @ The 3rd Base Starting today. 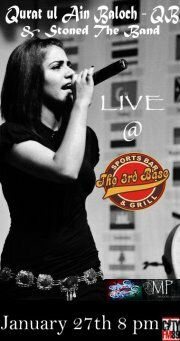 Catch the music sensation of today, "QB" lighting up the stage with her first major performance in Islamabad. Tune into The Rush Hour to win tickets.